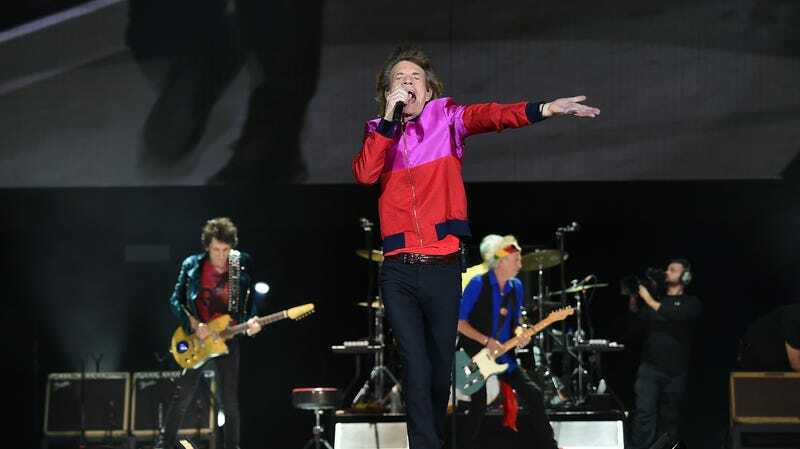 Rolling Stones postpone U.S. tour dates for Mick Jagger's "medical treatment"
According to Rolling Stone, the Rolling Stones have been forced to postpone an upcoming North American tour after Mick Jagger’s doctors advised him to stay home for “medical treatment.” The official word from the band is that Jagger will “make a complete recovery,” but it’s worth noting that nobody has actually said what Jagger’s medical treatment is for—Rolling Stone even says that a representative for the band “declined to elaborate on Jagger’s medical condition.” Jagger also released a statement of his own on social media, apologizing for letting fans down and saying he’ll be “working very hard to be back on stage” as soon as he can. The tour was supposed to start on April 20 in Miani and run through July 29 at a show in Canada. Reschedule dates, naturally, have not been announced yet.